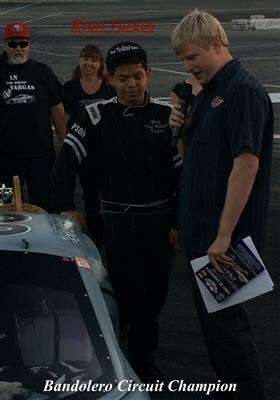 Congratulations to one of our very own Centurions, Ryan Vargas who on October 18, 2014 won his age division of the Bandolero Circuit Division in racing @ Irwindale Speedway. Ryan is rated the #1 Bandolero Racer in the Nation. He will be racing in the Nascar Super Stock race on October 25, 2014.